How to Apply for IP University MA Admission? 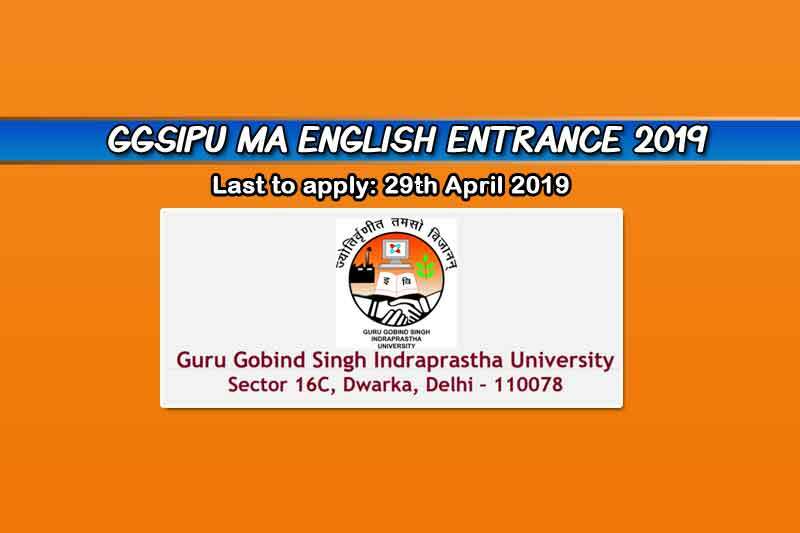 IP University MA English Entrance exam 2019 registration has started from 22nd March 2019. The last date to the online application is 29th April 2019. In Delhi, IP University is one of the top universities that offer a wide variety of courses. It is also a public state university, which is ‘A’ by NAAC. However, the popularity of IP University spans across India. Moreover, IP University alumni are renowned personalities now such as Tapsee Pannu, Durga Shakti Nagpal, Guneet Monga etc. Above all, IP University Dwarka campus for PG courses has a world-class infrastructure that meets all quality standards. In this article, we bring you details about IP University MA English Entrance. The MA English Course is one of the most popular courses at IP University. However, due to fewer seats, the competition is too high. If you feel to ask the question, please use the comment box below. We would love to answer your queries. Any graduate with at least 50 percent from a recognized university.